Enjoy low costs and the easiest way to print from mobile devices with an all-in-one with fax. Get more done—while keeping your print costs low—with the easiest way to print from your smartphone or tablet. Print affordably, using HP’s lowest-priced ink cartridges, and simplify tasks with this versatile, easy-to-use all-in-one with fax. Ideal for budget-minded shoppers who want an affordable, Wi-Fi-enabled, compact all-in-one with fax and HP's lowest-priced ink cartridges. Keep tasks moving with the easiest way to print from your smartphone or tablet. Set up in a flash, plus print and send scans to email while on the go. Save money without sacrificing quality. Print affordably, using HP’s lowest-priced ink cartridges, for everything from coupons to school projects. Count on reliable results right in your home. Free up more time to focus on what’s important. Manage print jobs easily at the device, using the intuitive display. Copy, scan, and fax multipage documents from one versatile device. 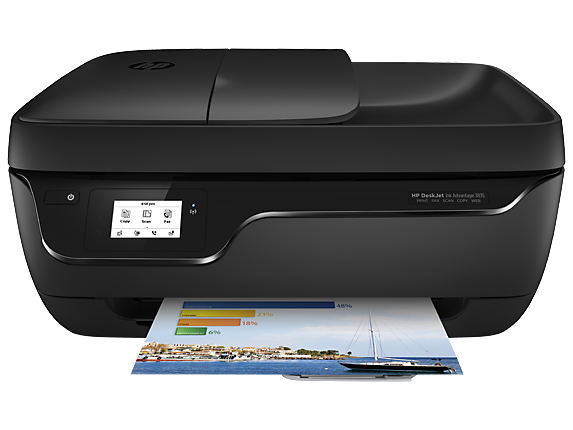 In comparison to the majority of consumer/home office inkjet all-in-one printers < $399 USD as of November 2014, based on market share as reported by IDC as of Q3 2014, and typical time to set up and/or presence of preloaded plug-in. App download required for printer setup. Local printing requires mobile device and printer to be on the same network or have a direct wireless connection to the printer. Wireless performance is dependent on physical environment and distance from access point. Wireless operations are compatible with 2.4 GHz operations only. Remote printing requires an Internet connection to an HP web-connected printer. App or software and HP ePrint account registration may also be required. Wireless broadband use requires separately purchased service contract for mobile devices. Check with service provider for coverage and availability in your area. See http://www.hp.com/go/mobileprinting for more details. Mobile device requires wireless access point and an Internet connection. Compatible with iPhone® 4 and later, iPad® 4th generation, iPad mini™, iPad Air®, iPod® 5G using iOS 7 or later, and mobile devices using Android™ 4.0.3 or later. Features controlled may vary by mobile device operating system. 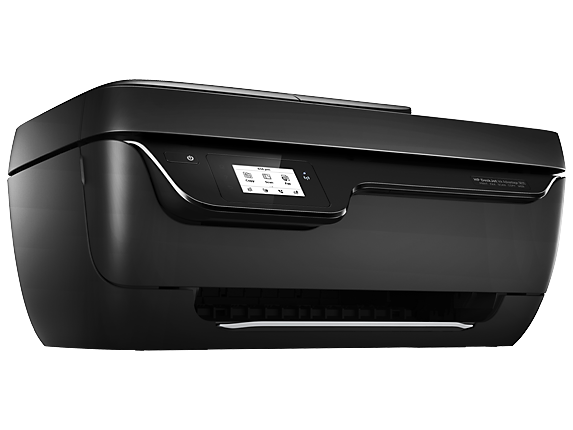 Scan/copy control requires mobile device and printer be on the same wireless network or through wireless direct connection to printer. For mobile scanning, device camera requires 5 megapixels or greater with autofocus capability. Based on IDC’s Worldwide Quarterly Hardcopy Peripherals Tracker®, 2012 Q4. Shipments for inkjet single-function printers and multifunction printers (MFPs), including production units. Mobile device requires wireless access point and an Internet connection. Features controlled may vary by mobile device operating system. 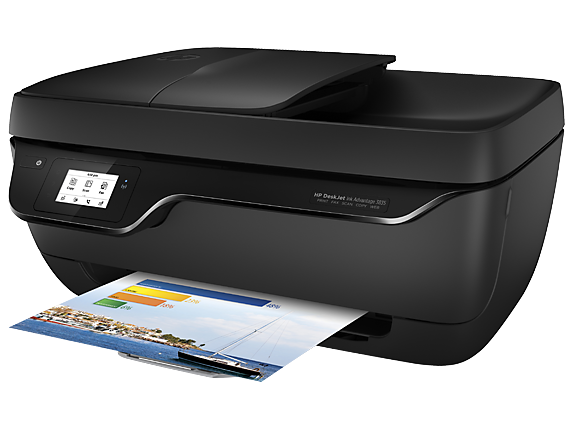 Scan/copy control requires mobile device and printer be on the same wireless network or through wireless direct connection to printer. For mobile scanning, device camera requires 5 megapixels or greater with autofocus capability. Wireless performance is dependent upon physical environment and distance from the access point. Wireless operations are compatible with 2.4 GHz routers only; excludes wireless direct. Wireless direct may require driver or apps be installed and connected on wireless-enabled mobile device or PC. Wireless functionality may vary by computer and mobile operating systems, see hpconnected.com. Print times and connection speeds may vary. AirPrint™ supports OS X® Lion, OS X® Mountain Lion and the following devices running iOS 4.2 or later: iPad®, iPhone® (3GS or later), iPod touch® (3rd generation or later) and requires the printer be connected to the same network as your OS X or iOS device. AirPrint, the AirPrint Logo, iPad, iPhone, and iPod touch are trademarks of Apple® Inc. Windows® is a trademark of the Microsoft group of companies. BlackBerry® names and logos are the property of Research In Motion Limited. Android is a trademark of Google Inc.
 HP SureSupply assists you when you want to replace a print cartridge and helps you shop and purchase locally or via the Internet. For more information, visit hp.com/learn/suresupply. Only available for genuine HP supplies. Internet access required.